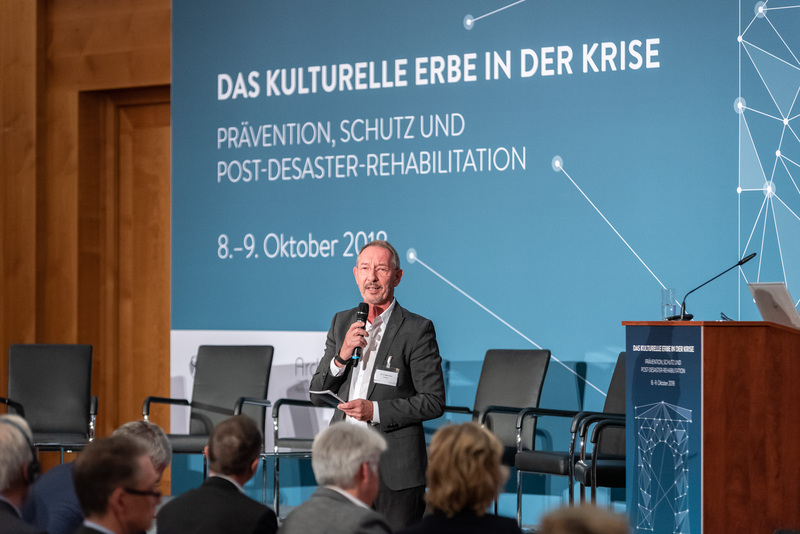 The Archaeological Heritage Network and the Federal Foreign Office organized the international conference Cultural Heritage in Crisis – Prevention, Protection and Post-Disaster Rehabilitation, which was held in Berlin on 8–9 October 2018. Cultural heritage has always faced many types of threat, whether it be war, natural catastrophes, infrastructure projects or climate change. 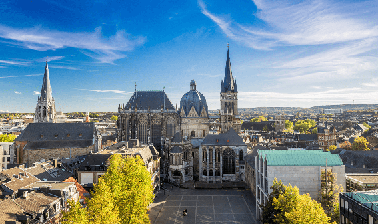 The destruction by fire of the National Museum in Rio de Janeiro and the Anna Amalia Library, the collapse of the Archive of the City of Cologne and the devastation caused by the wars in Iraq, Yemen and Syria are just some examples of the challenges that experts need to confront. Catastrophes of this kind have a profound impact on the cultural heritage of the countries concerned and their populations. 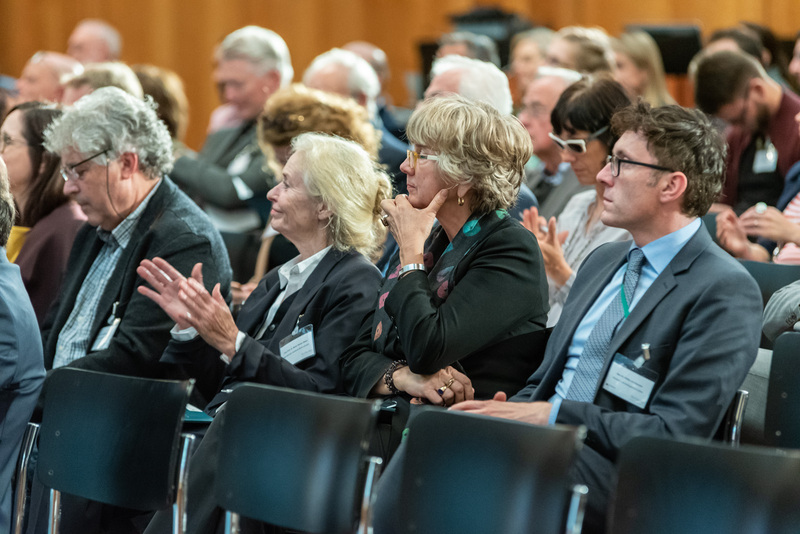 The first day of the conference was opened by Heidrun Tempel of the Federal Foreign office and Prof. Dr. Dr. h.c. Friederike Fless, President of the German Archaeological Institute. 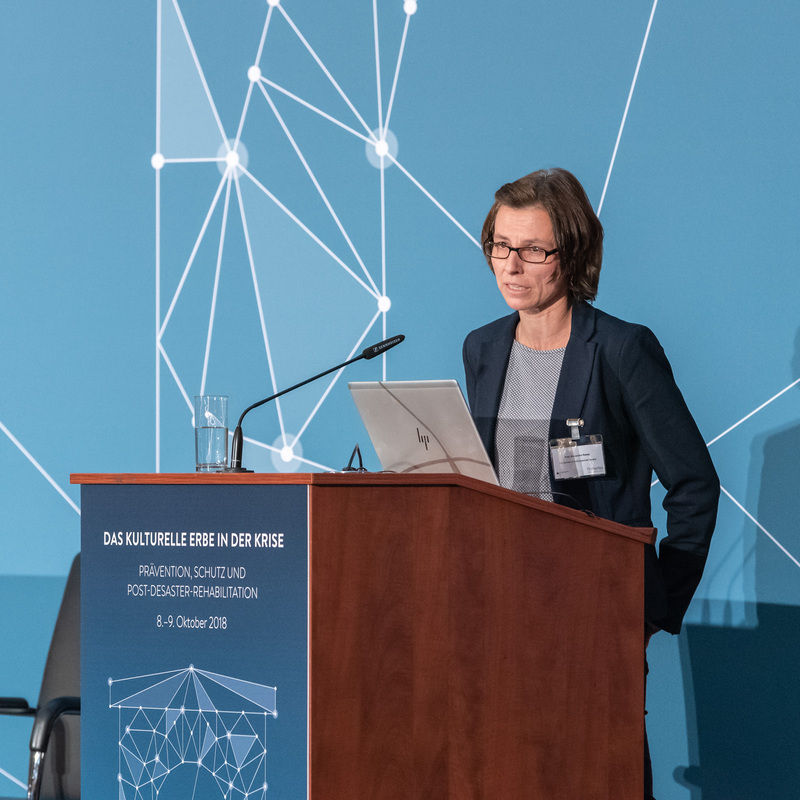 In her welcoming speech Prof. Friederike Fless, stated that the conference had the aim firstly of examining the typology of crisis scenarios with their specific problems, by considering concrete examples. 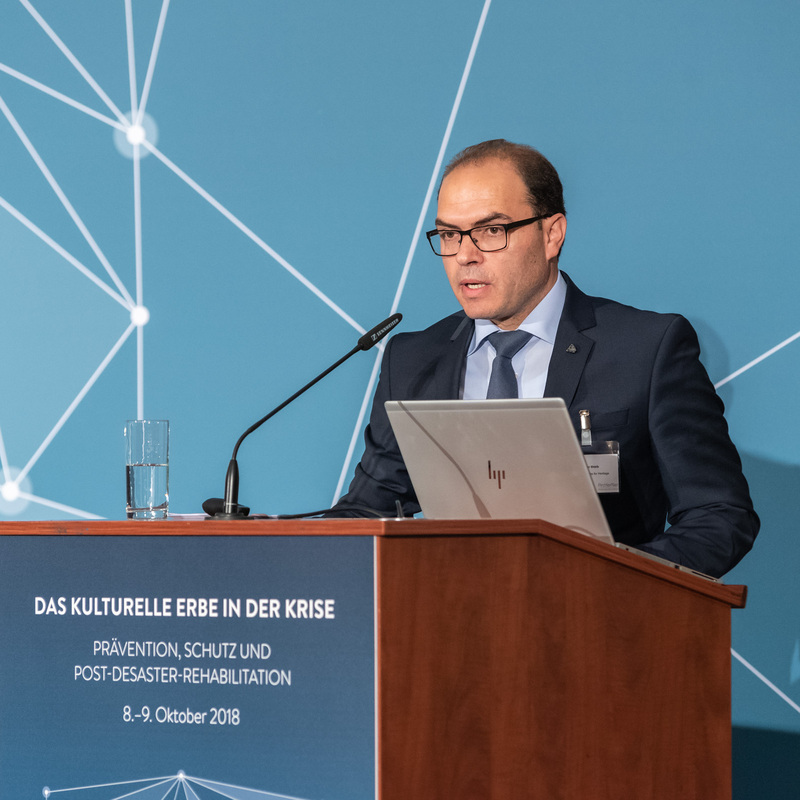 The second aim was to analyse what action is possible in the three principal phases of crises, namely prevention, direct intervention at the peak of the crisis, and subsequent rehabilitation, and to discuss what measures are possible in each case. 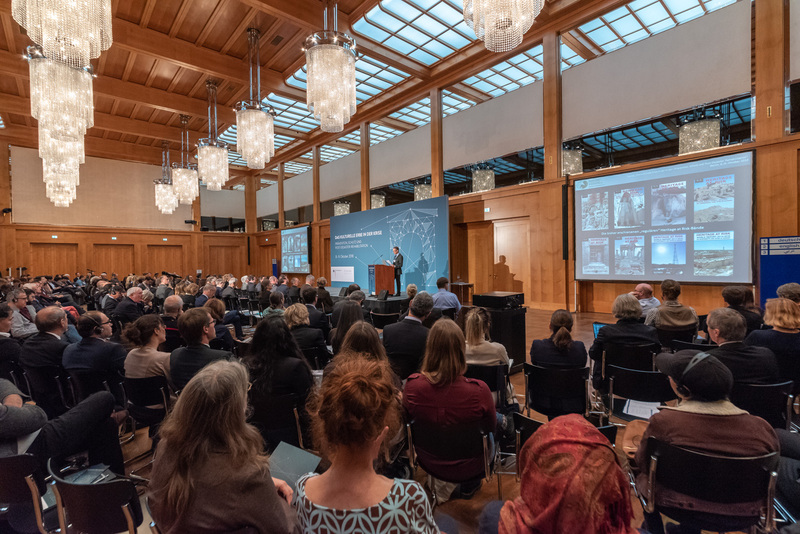 The conference, held at the Federal Foreign Office on 8–9 October, brought together around 250 international experts in the field of cultural preservation, archaeology and politics, who attended talks and took part in workshops and discussions. Prof. Dr. Stefan Simon from Yale University concluded his keynote speech with a quote from Martin Luther King: „Whatever affects one directly affects all indirectly“, noting that „in the road-map of sustainable conservation in the 21st century, conservation is no longer only about cultural heritage sites. It has to be also about the people who are affected and connected to this heritage“. In one of the introductory talks of the first day, Dr. Brian Daniels of the Smithsonian Institution spoke about the project Safeguarding the Heritage of Syria and Iraq ( SHOSI) and formulated some clear requirements. He emphasized the need to enhance NGO capacity and the need to support locally oriented initiatives during crisis events as well as programmes for at-risk heritage professionals. It is important, Dr. Daniels said in his presentation, to identify funding lines before the onset of a specific crisis and to have greater knowledge about international regulations on humanitarian aid. 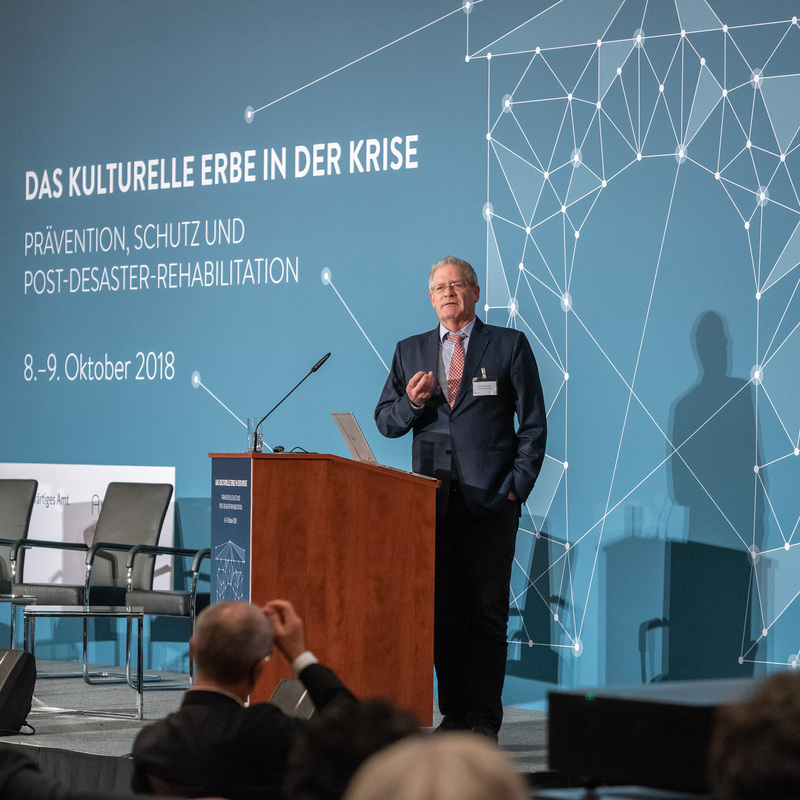 An introduction to the topic "Cultural Heritage in Crisis" was given by Professor Knaut (HTW Berlin) | ©ArcHerNet, Paasch. 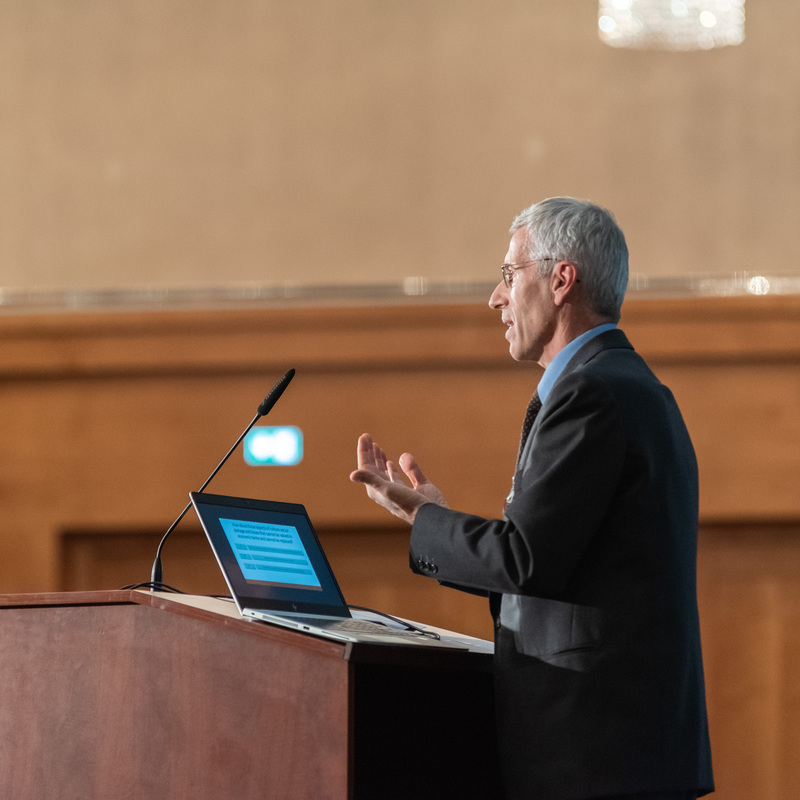 Keynote speaker Professor Stefan Simon (Yale University) in his talk "Whatever affects one directly affects all indirectly" | ©ArcHerNet, Paasch. Megan Bristow (British Museum) presents the “Iraq Emergency Heritage Management Training Scheme” | © ArcHerNet, Paasch. Reza Sharifi during his presentation on "The destructions in the Bamiyan-Valley" | ©ArcHerNet, Paasch. 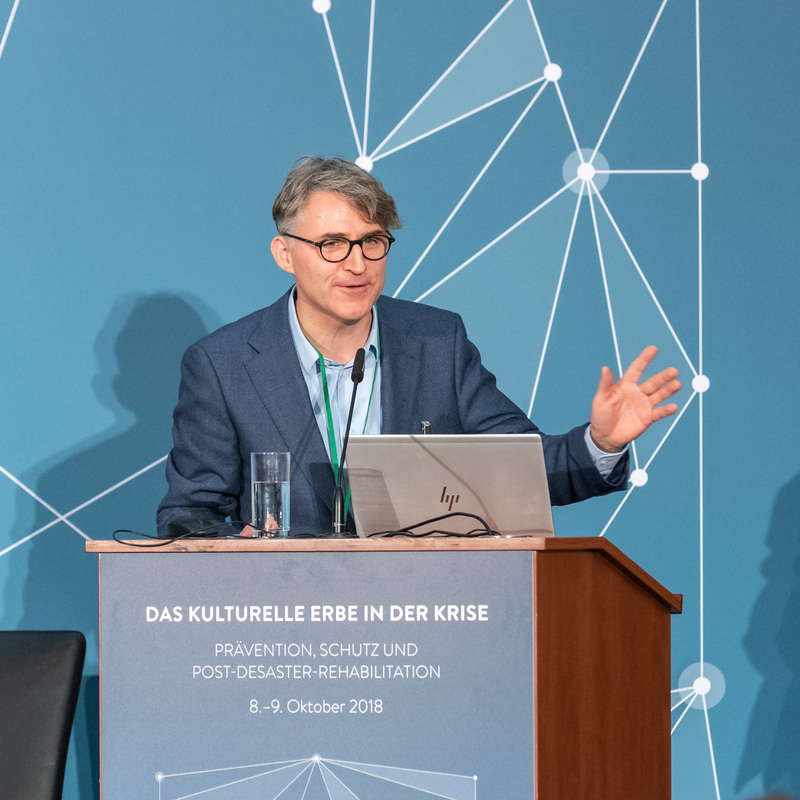 Giovanni Boccardi (UNESCO) in his presentation: Post-Disaster Damage and Needs Assessment – "Warsaw Recommendation on Recover and Reconstruction of Cultural Heritage” | ©ArcHerNet, Paasch. 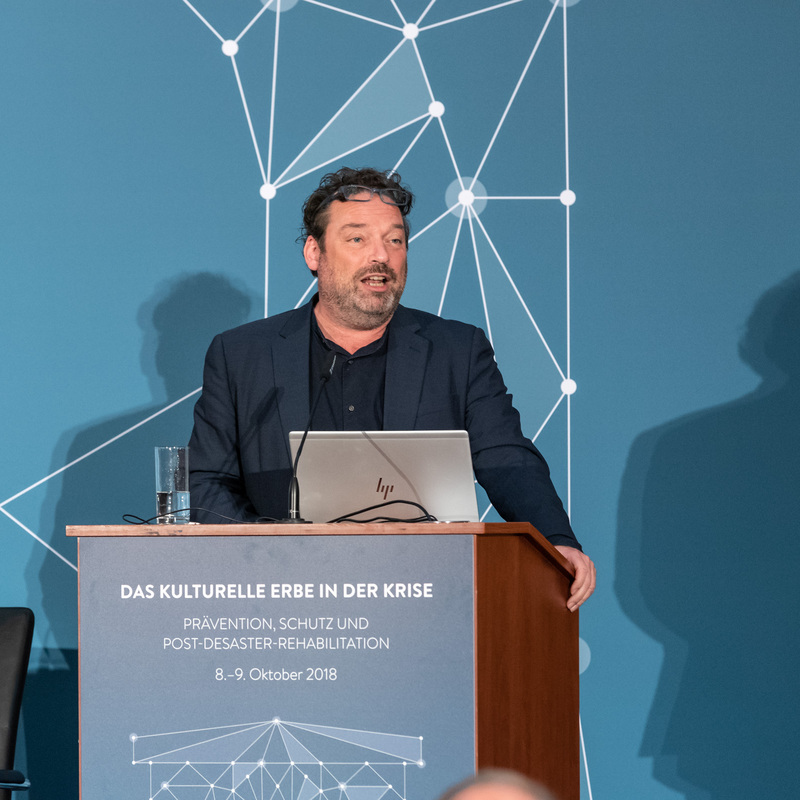 Dr. Brian Daniels of the Smithsonian Institution presents the project "Safeguarding the Heritage of Syria and Iraq" ( SHOSI)| © ArcHerNet, Paasch. 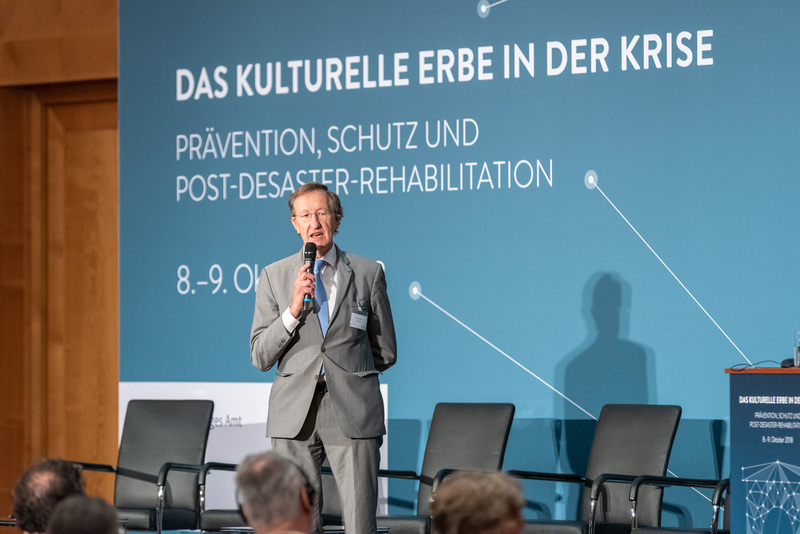 Professor Leo Schmidt (BTU Cottbus-Senftenberg) talks about study programmes on Cultural Heritage at BTU Cottbus | ©ArcHerNet, Paasch. Dr. Shaker Shbib presents the new founded project SIMAT-Syrians for Heritage | ©ArcHerNet, Paasch. 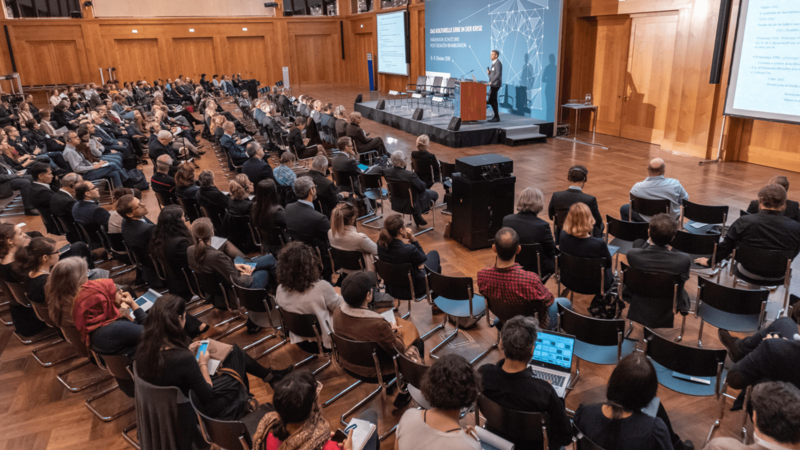 After being introduced by Dr. Andreas Görgen, director general of culture at the Federal Foreign Office the second day of the conference was opened by Federal Foreign Minister Heiko Maas. In his speech he said it was not only a matter of rebuilding: public space must become a place for discussion and civil society once again. That is why preparations are being taken rapidly for the reconstruction of two historic sites in Mosul. The same goes for Syria, the minister said. The reconstruction of archaeological cultural property will be a very important sign and a means of reconciliation in society after a political settlement has been achieved. And precisely for that reason the digital archiving of Syrian cultural property is being supported. 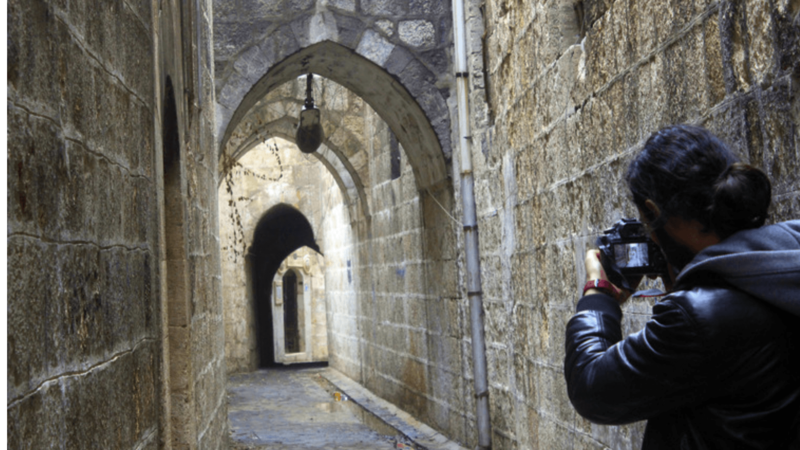 Syria’s cultural and religious diversity is reflected in its valuable cultural treasures in particular. 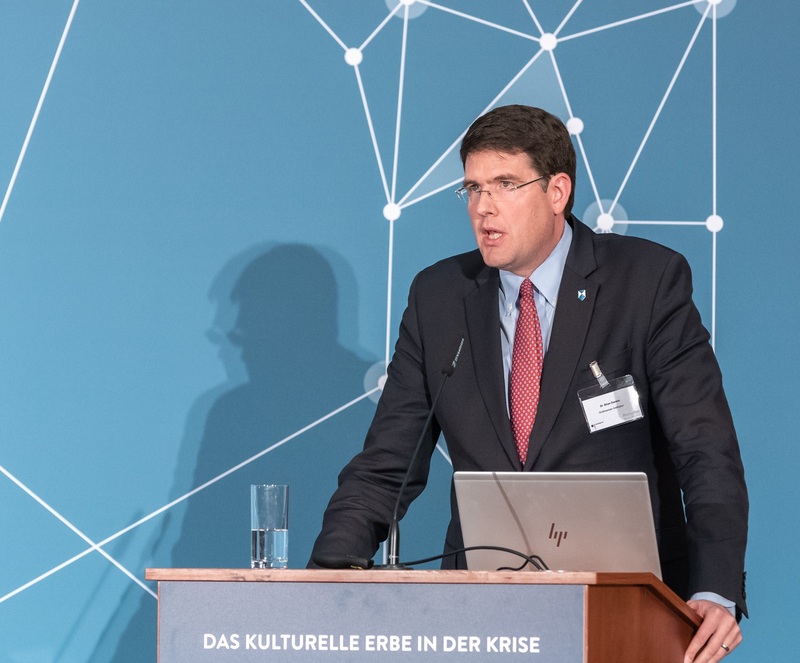 At the end of his speech the Foreign Minister stressed that effective protection of cultural heritage cannot be achieved and safeguarded by state actors alone. Instead it must come from the heart of our society. 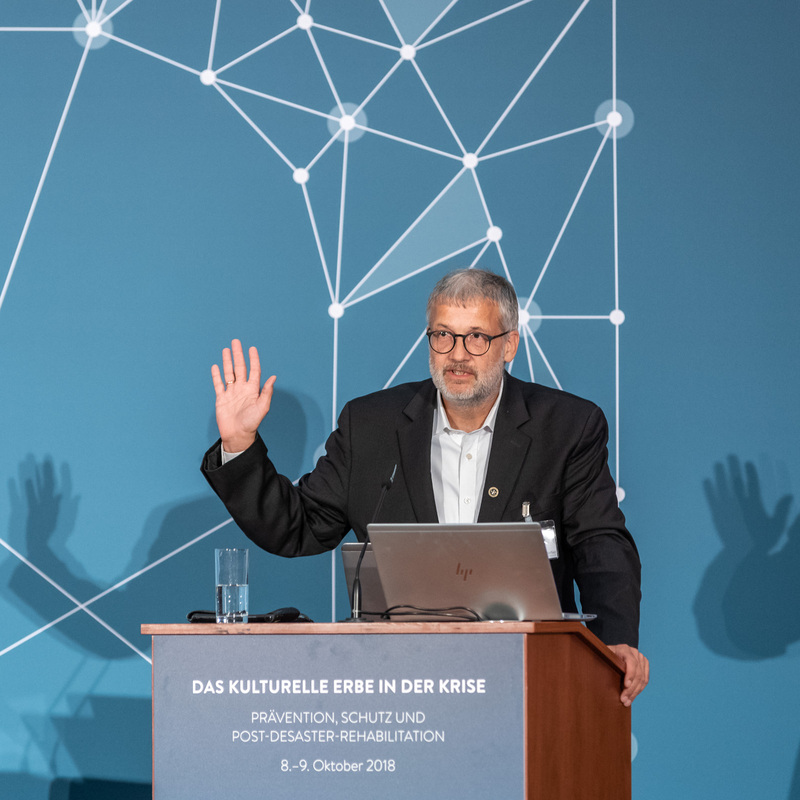 An Introduction to the second day was given by Dr. John Ziesemer (ICOMOS Germany) in his lecture „Heritage at Risk“ and by Manuel Fiol (UNOSAT/UNITAR) who presented „New Technologies for the Safeguarding of Cultural Heritage“. In Section 1 „Destruction by War and Terrorism“, reports from Irak (Dr. Margarete van Ess), Sudan (Dipl. Ing. Alexandra Riedel) and Yemen focussed on the damages within the countries. 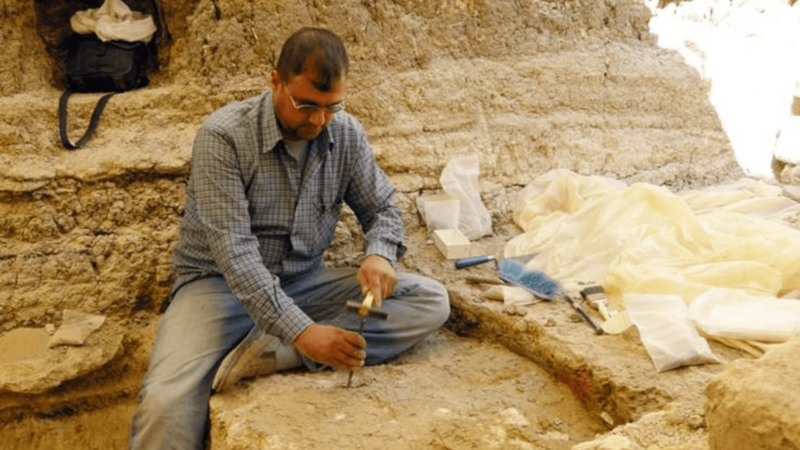 Mohaned Al-Sayani, Director of the General Organization for Antiquities and Museums of Yemen reports on the damages of Cultural Heritage in Yemen | © ArcHerNet, Paasch. 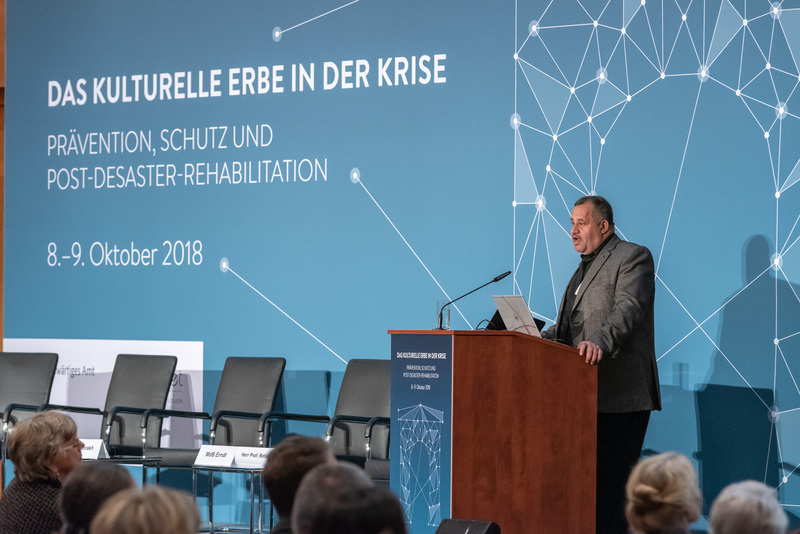 Section 1 "Destruction by War and Terrorism" was opened by Dr. Stephan Zink. He represented Prof. Dr. Pierre Leriche and presented his lecture "Devastation d’Europos-Doura sur l’Euphrate" | © ArcHerNet, Paasch. 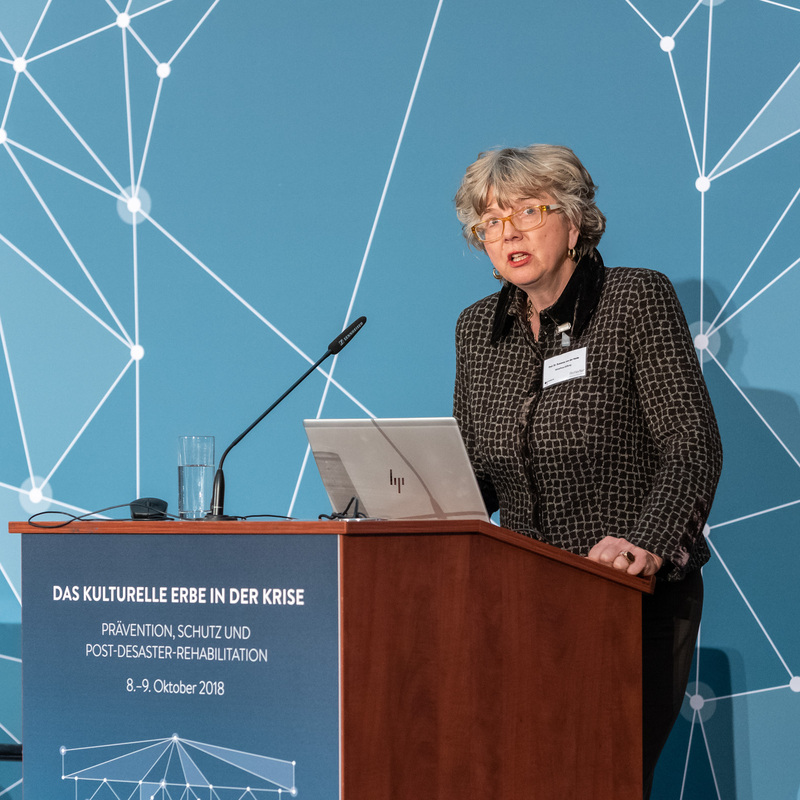 Dr. Margarete van Ess (DAI) presented her lecture "Kulturerhalt im Irak – Aufgaben und Herausforderungen der Antikenverwaltung". | © ArcHerNet, Paasch. Dipl. Ing. 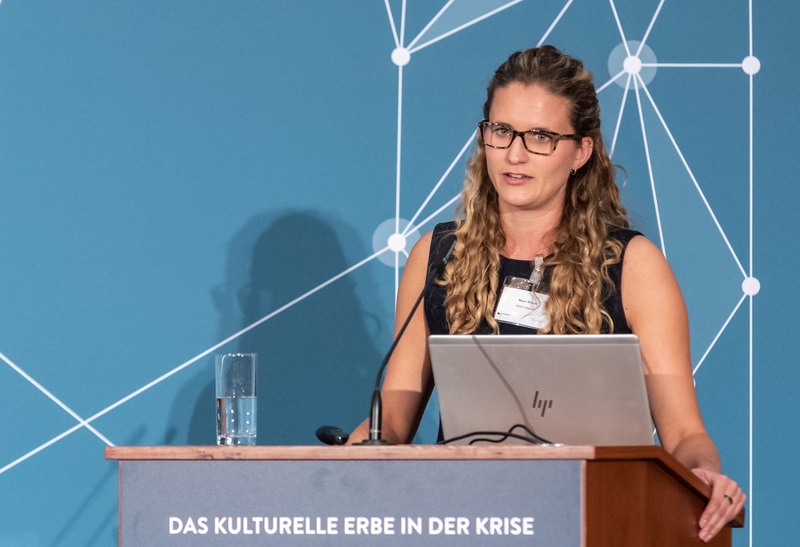 Alexandra Riedel (DAI) reported on the challenges of heritage protection in Sudan | © ArcHerNet, Paasch. 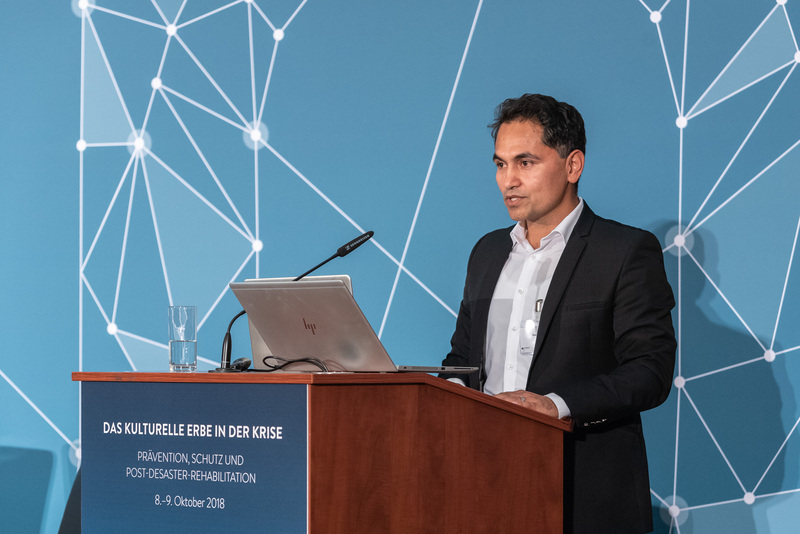 Section 2 "Destruction caused by Natural Desaster and Climate Change" was chaired by Kai Franke (DAAD) | © ArcHerNet, Paasch. 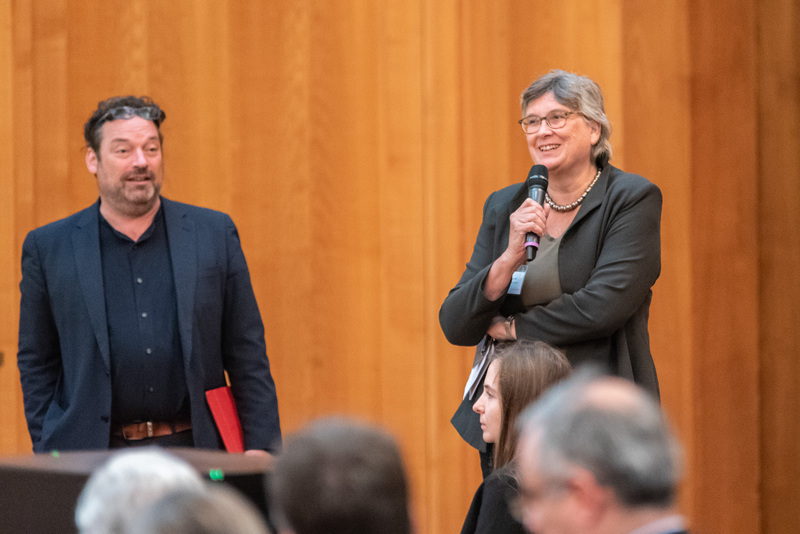 Prof. Dr. Susanne von der Heide (HimalAsia Foundation) talked about the damages of Cultural Heritage caused by earthquakes in Mustang, Nepal | © ArcHerNet, Paasch. 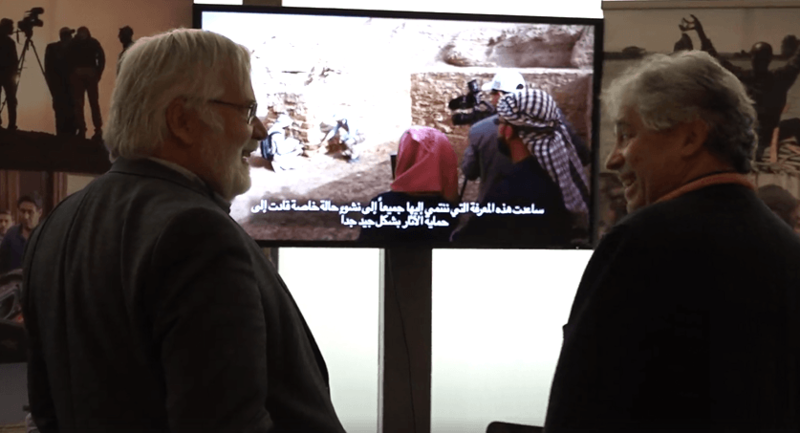 Henk van Schaik (ICOMOS Netherlands) showed a film and gave insights into the topic: "Water and Heritage for the Future" | © ArcHerNet, Paasch. 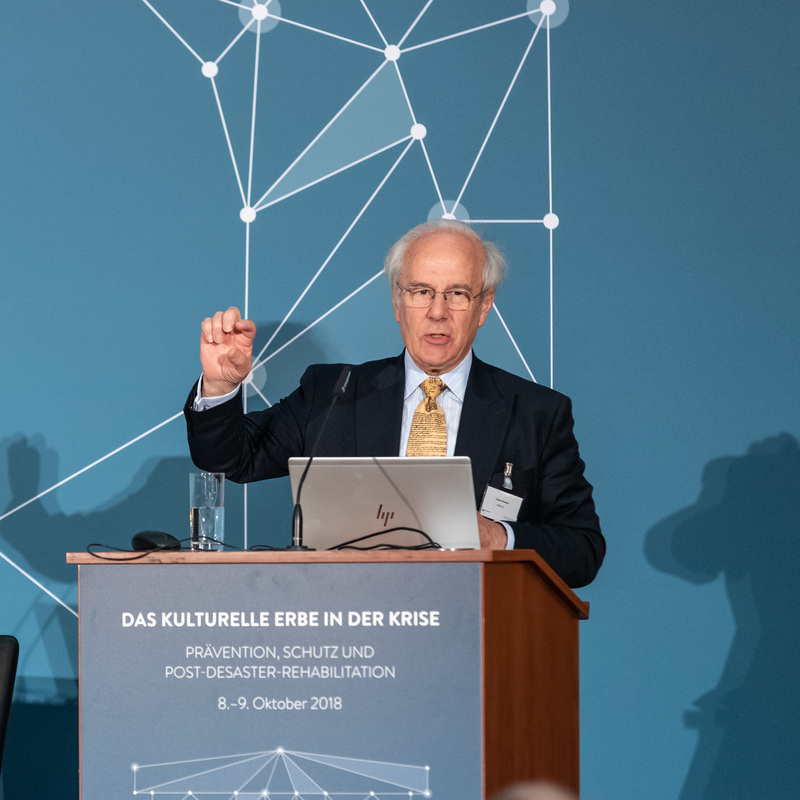 An introduction to Section 3 "Destruction caused by Expanding Cities and Infrastructur Transformation" was given by Prof. Dr. Michael Jansen (RWTH Aachen University)| © ArcHerNet, Paasch. 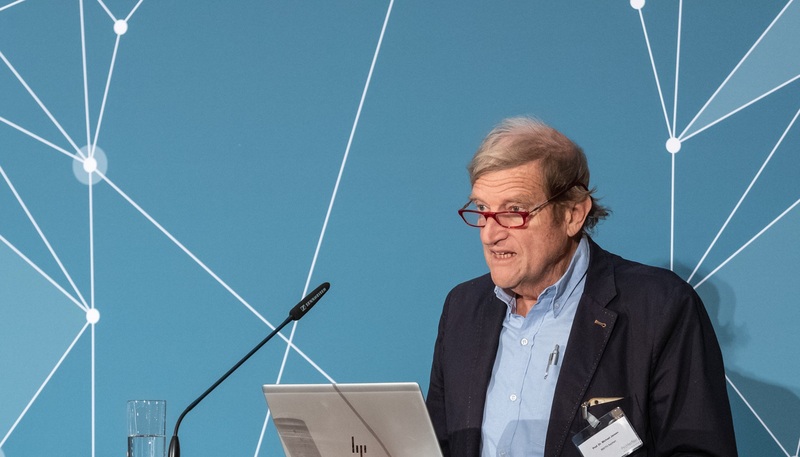 Dennis Rodwell (Architect-Planner, Independent Consultant) on "The UNESCO Recommendation on the Historic Urban Landscape and the Geography of Urban Heritage" | © ArcHerNet, Paasch. 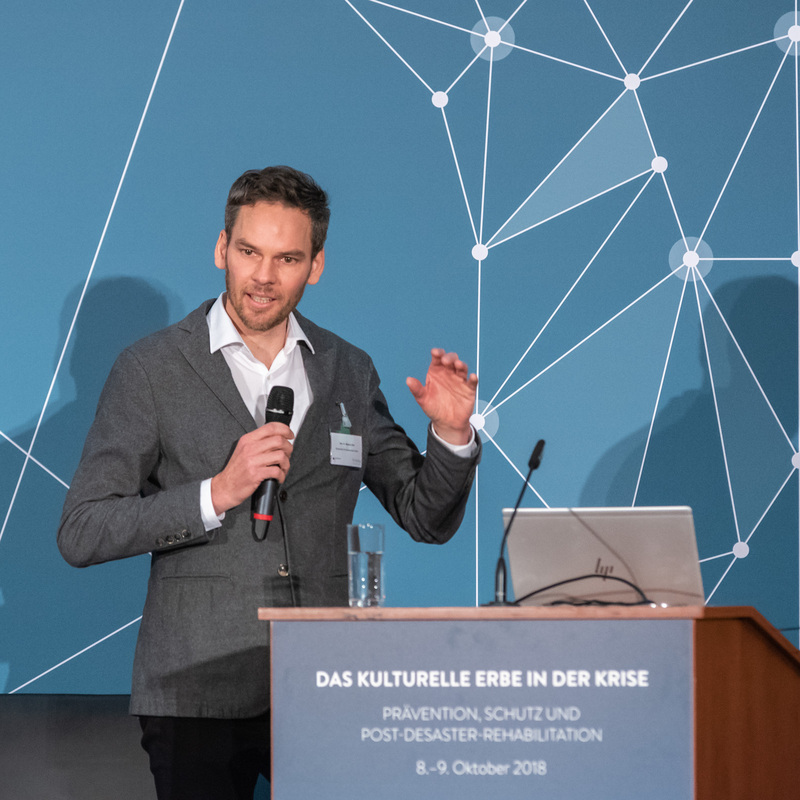 Prof. Dr. Stefan Weber (MIK/SPK) talked about the work of the Syrian Heritage Archive Project (SHAP) in Aleppo, Syria | © ArcHerNet, Paasch. 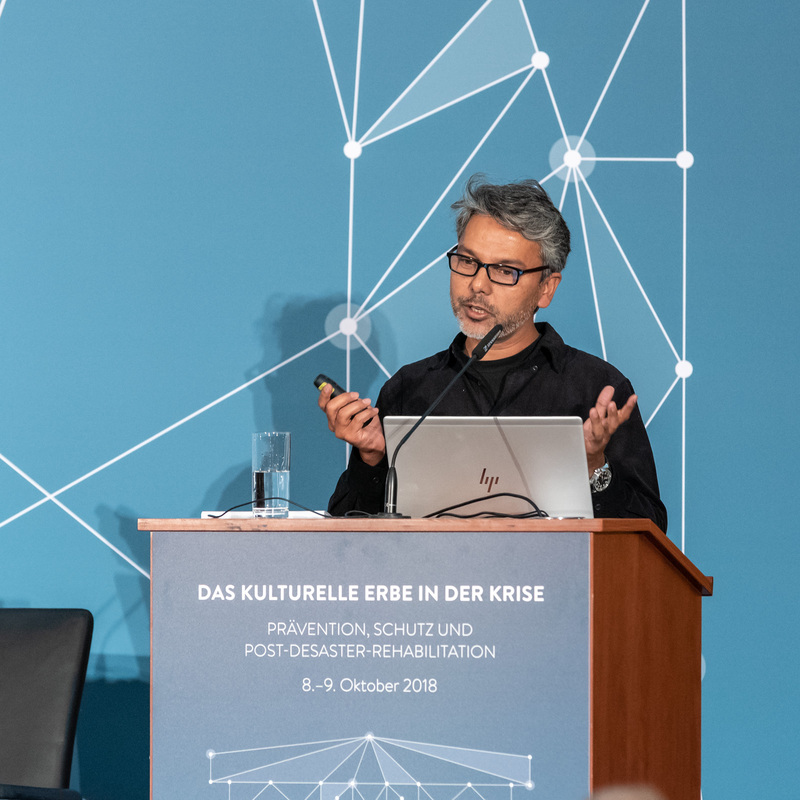 In his lecture Prof. Dr. Pratyush Shankar (CEPT University, Ahmedabad, India) focussed on "The Lonely Walled Cities in India" | © ArcHerNet, Paasch. The director of the General Organization of Antiquities and Museums of Yemen, Mohanad al-Sayani, informed his audience about the shocking destruction in Yemen. Air strikes, illegal trafficking in antiquities, unauthorized excavations, destruction as a result of construction projects and targeted attacks on cultural monuments have wrought extremely severe damage in the country. He showed disturbing images of the destruction at the regional museum of Dhamar, the old town of Sanaa, the Al Shareef citadel in Bajel–Hodeidah and the Al Qahera castle in Taiz. In Sections 2 and 3 several presentations dealt with the issue of destruction caused by natural catastrophes and climate change as well as destruction by infrastructural development and urban expansion. 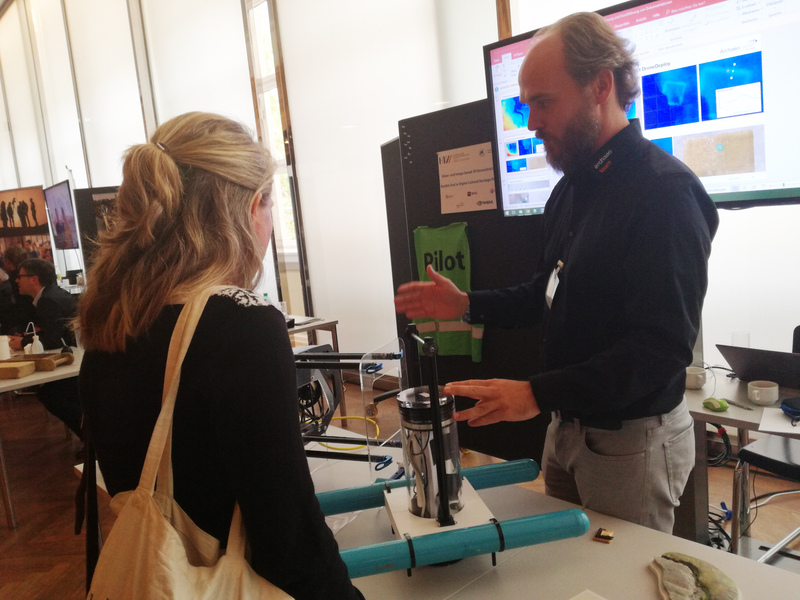 The talks were accompanied by the Cultural Heritage Fair, which was held in the side lounge of the Weltsaal. Exhibitors from the area of cultural heritage protection presented their work there. 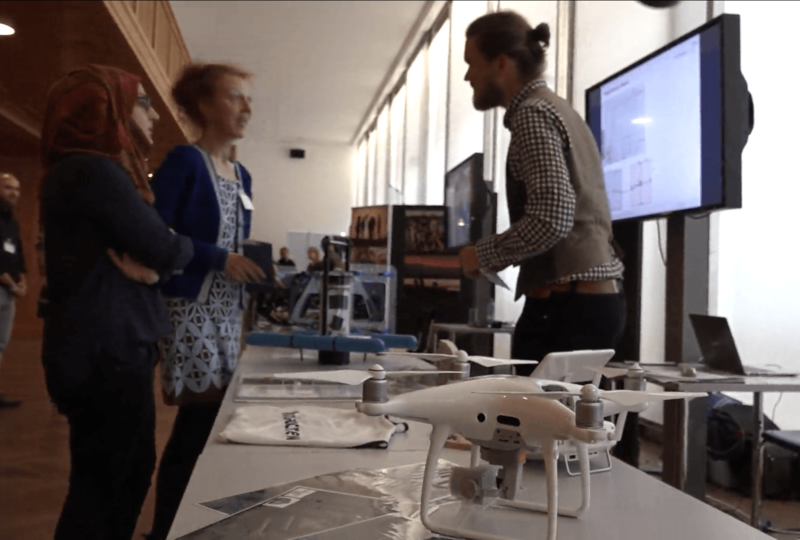 The HTW Dresden in association with the German Archaeological Institute and the Freie Universität Berlin introduced visitors to the Archaeocopter and Nautocopter. The data gathered by these devices is used to create 3D models by means of the structure from motion (SfM) technique. 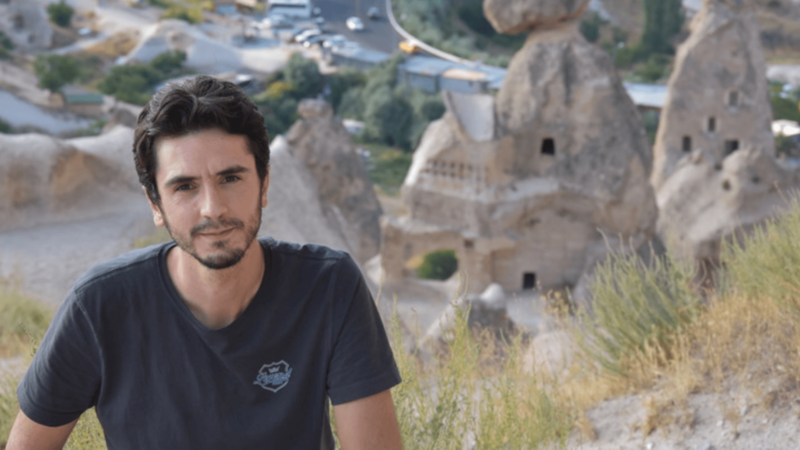 The organization Kulturerbe in kleinen Händen („cultural heritage in small hands“), which is primarily for the children of Syrian refugees, has developed a pottery workshop in cooperation with the HTW Berlin. They talked with visitors about their plans and experiences. A team of restaurators and archaeologists from culturARTis presents their work at the Cultural Heritage Fair | ©ArcherNet, Götting. Professor Marco Block-Berlitz (HTW Dresden) demonstrates the Archaeonautic project of HTW Dresden, DAI and FU-Berlin | ©ArcherNet, Götting. The team of Filmkrüger offers training courses in photographic documentation | © ArcHerNet. 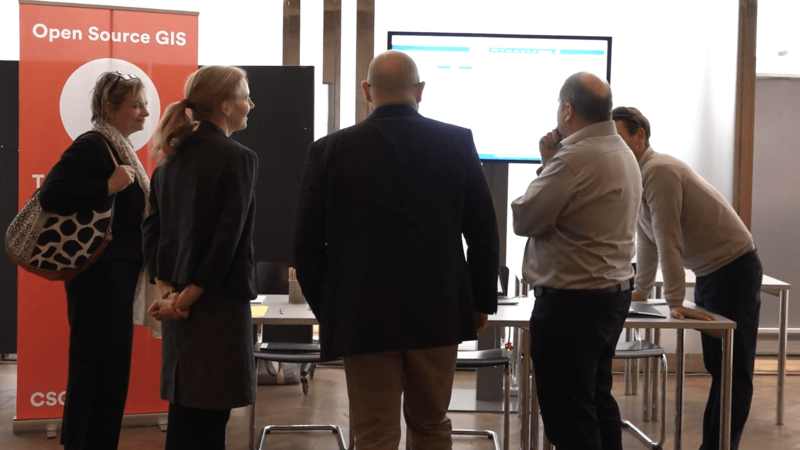 At the booth of CSGIS possiblities of Geographic Information Systems are discussed | © ArcHerNet. 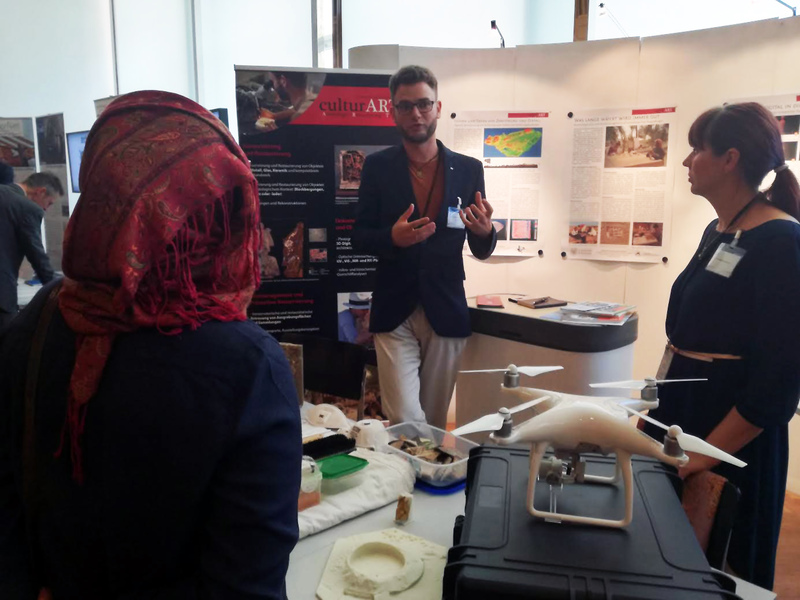 The staff of the German Archaeological Insitute explains the Archaeocopter project | © ArcHerNet. Geographic information systems (GIS) were central to the work of teams from CSGIS and the DAI’s project Palmyra GIS, while Filmkrüger presented its training courses in photographic documentation which are made available, as part of the Iraqi-German Expert Forum on Cultural Heritage (IGEF), to practitioners from Iraq’s State Board of Antiquities and Heritage (SBAH), for example. Also presenting themselves to conference visitors were the German association of restorers (Verband der Restauratoren) and ArcHerNet with Stunde Null – Eine Zukunft für die Zeit nach der Krise. 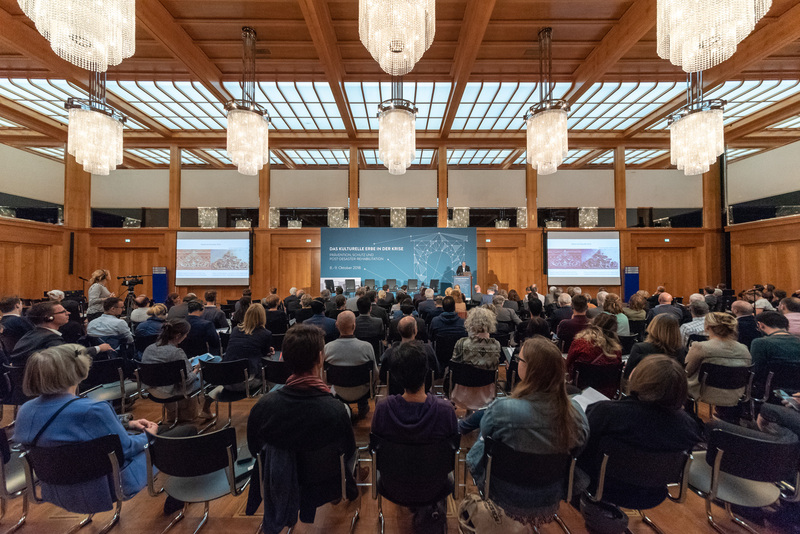 There was a panel discussion in which Bundestag members Barbara Hendricks and Thomas Erndl were joined by Dr. Michael Hanssler from the Gerda Henkel Foundation, Prof. Dr. Hosam Refai from Helwan University in Cairo and Giovanni Boccardi from UNESCO. The discussion was hosted by Andrea Horakh from Deutsche Welle. Panel discussion at the Conference „Cultural Heritage in Crisis“. 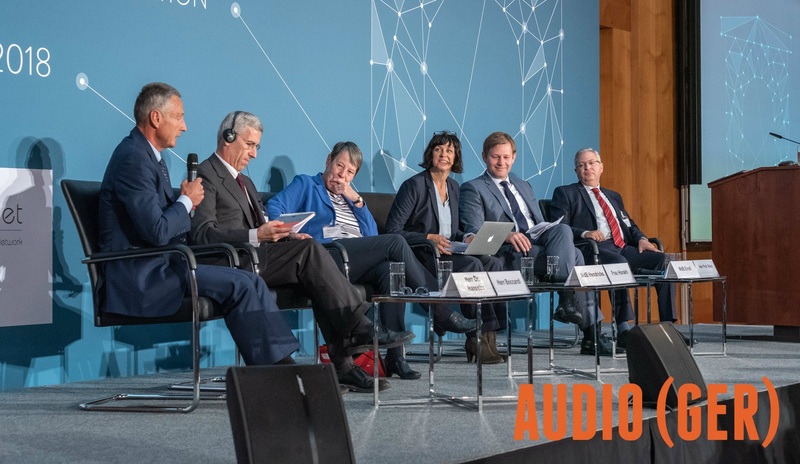 From left to right: Dr. Michael Hanssler (Gerda Henkel Foundation), Giovanni Boccardi (UNESCO), Barbara Hendricks (MdB, SPD), Andrea Horakh (Moderation, DW), Thomas Erndl (MdB, CDU), Prof. Dr. Hosam Refai (Helwan University) | © ArcHerNet, Paasch. Four workshops took place, at which conference attendees discussed prevention, protection and post-disaster. The results of the workshops were presented afterwards. In her closing speech Prof. Dr. Dr. Friederike Fless noted that, in the sphere of cultural preservation, it was always necessary to think long-term. It had been clearly shown by the workshops, she said, that the path taken should be followed further, although adjustments were necessary. When help comes from outside, the countries should be involved. This is where capacity building comes in, which makes the involvement of the population possible. It has also become clear, she said, that coordination is lacking in certain instances. It is necessary to identify possibilities, improve contacts amongst large organizations and initiatives, and establish networks. „It should be clearly communicated to politicians that it’s necessary to think long-term,“ Prof. Dr. Dr. Fless said. „We train, we invest in the future; through our activities and educational capabilities, we invest in people.“ It is important to develop capacities, but for that resources are needed. 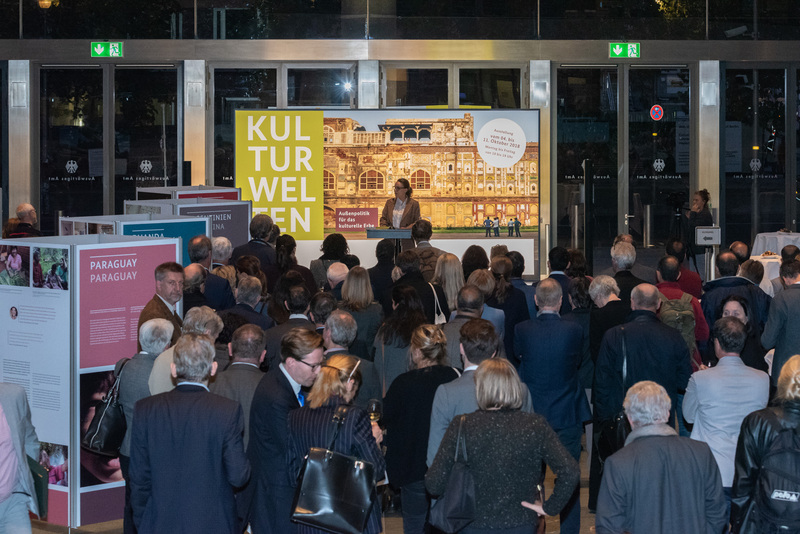 The conference Cultural Heritage in Crisis concluded with the opening of the Kulturwelten exhibition. The exhibition presents projects that are financed around the globe by the cultural preservation programme of the Federal Foreign Office, among them the ArcHerNet collaborative project Stunde Null. Minister of State Michelle Müntefering officially opened the exhibition in the atrium of the Federal Foreign Office. Minister of State Michelle Müntefering opens the exhibition "Worlds of Culture" in the Federal Foreign Office | © ArcHerNet, Paasch. Minister of State, Michelle Müntefering, opens the exhibition "Worlds of Culture" at the Federal Foreign office | ©ArcHerNet, Paasch. 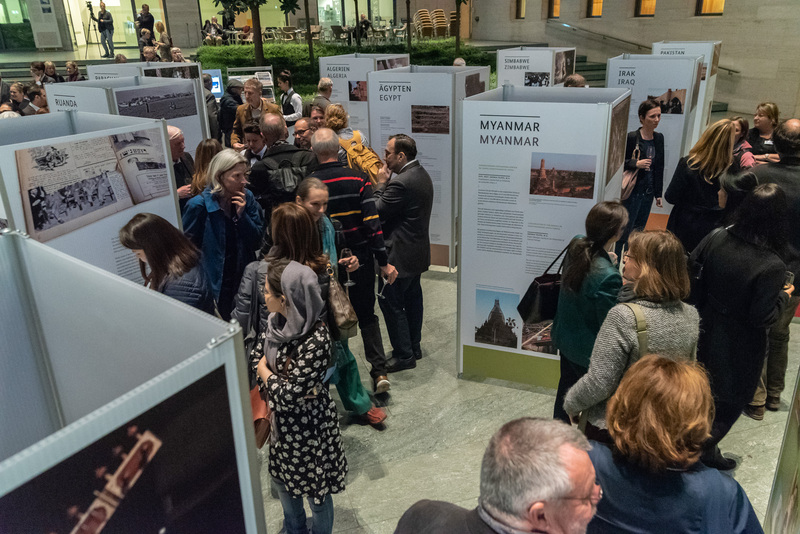 Exhibition "Worlds of Culture" in the Federal Foreign Ministry| © ArcHerNet, Paasch. Visitors at the exhibition "Worlds of Culture". The exhibition presents Cultural Heritage projects supported by the Federal Foreign Office| © ArcHerNet, Paasch. Minister of State, Michelle Müntefering. 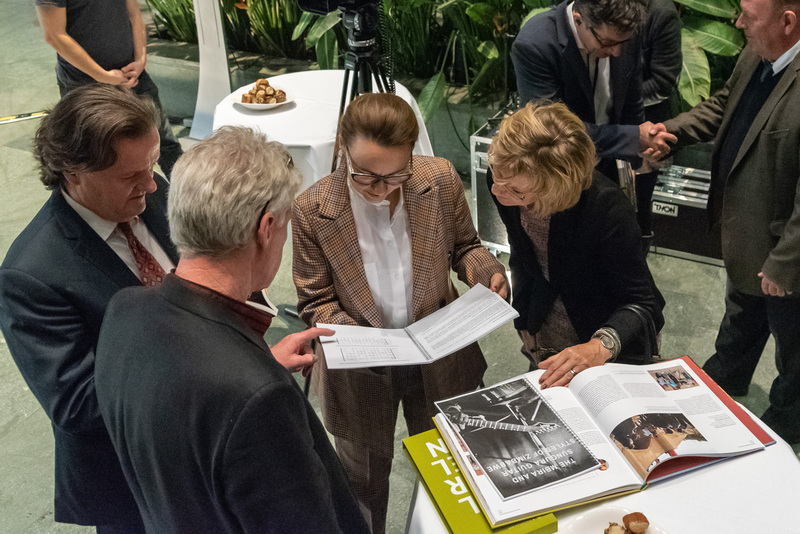 At the opening of the exhibition "Kulturwelten" the new Volume of "Worlds of Culture" was presented to the public. The publication focusses on projects supported by the Cultural Preservation Programme of the Federal Foreign Office | © ArcHerNet, Paasch. Michelle Münteferin, Minister of State, at the exhibition | © ArcHerNet, Paasch.